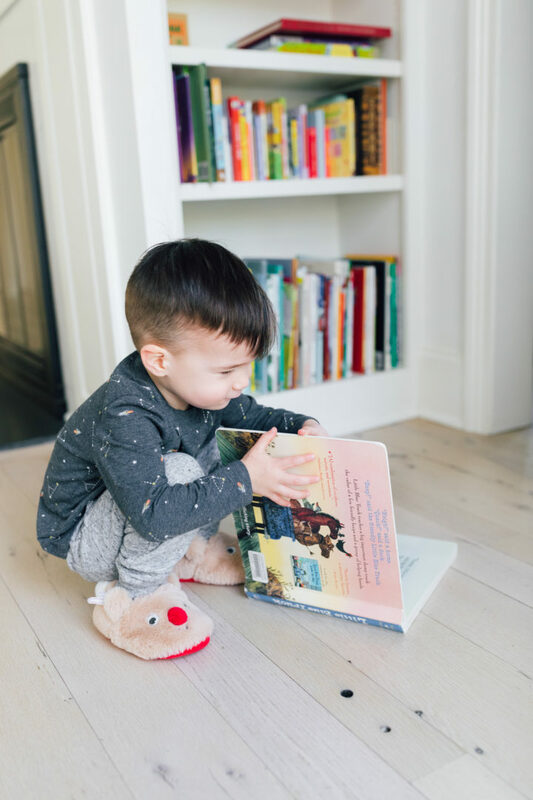 Since Marlowe started preschool at two, I get a lot of questions about why I chose to keep Major home this year, and what our plans are for him with preschool. And they’re good questions! Education is super important to me, and one of the things I’ve realized about education and parenting is that they aren’t one-size-fits-all models. Today I thought I would share our preschool plan for Major so you can hear about what’s been working for us. Each family is different though, so take it all with a grain of salt! In our area, the public school cutoff is January 1st for each grade which is pretty late. With a late October birthday, it’s always made me nervous the idea of him starting kindergarten at 4 years old– and continuing through the school system young for his age. Growing up, my brothers always had late cutoff birthdays. To this day, my Mom always says that not “holding them back” was one of her biggest regrets. 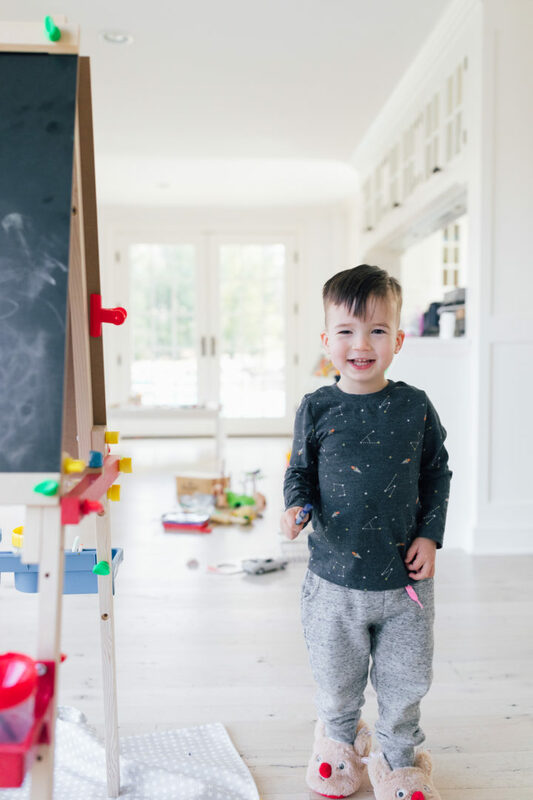 Or as Marlowe’s teacher this year was telling me, “You shouldn’t be wondering if he will be prepared enough for Kindergarten, you should be wondering if he will be prepared to be one of the youngest when he’s in Middle School…”. OMG. Excellent point. I don’t think I love the idea of Major starting college at 17 years old. Then, a year ago we found the PERFECT nanny. She’s so loving, smart, organized, responsible, and totally runs the household which is exactly what I needed. Plus, my kids absolutely adore her. 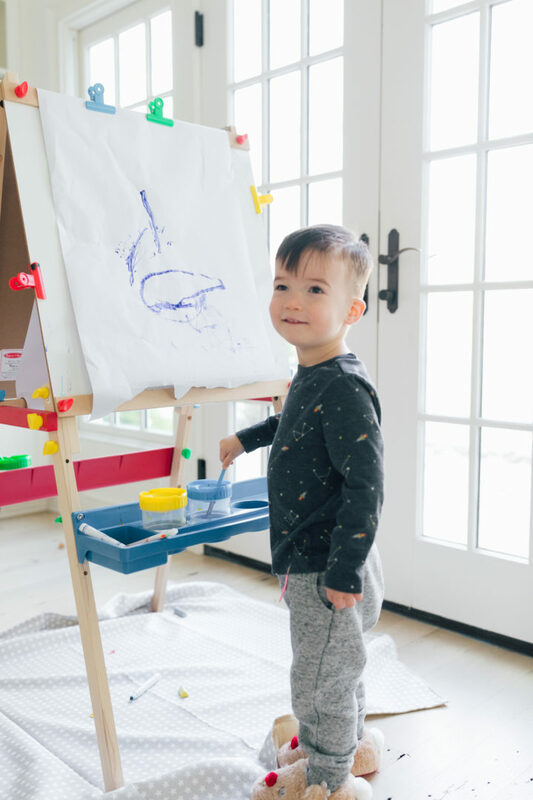 When it came to sign Major up for preschool in a two’s program, I just thought to myself “Why?” I decided to keep him at home with our nanny, and to sign them up for a few classes so he can make friends– but to my utter delight she has been teaching him so much! In fact, he now knows more of his alphabet than Marlowe does. She does numbers with him, too, and speaks with him in Spanish. Overall, I feel that he is getting just as much learning and recreation time as any Two’s program. We decided that in Fall 2019 we will have him start preschool in a Three’s class, 3 days per week. His school has longer days, so I think this will be a great way to start him in the program. Then we plan on continuing him in the Fours, and then having him do a T-K program. In our school, this is basically an extra year of preschool that a lot of parents choose for children with late birthdays or children that need a bit more time before Kindergarten. He will now be starting Kindergarten at 5 years old like everyone else, instead of 4! I feel really good about our decision, even if it does add one more year of “private school” to our budget than we were expecting. Knowing Major and what a sensitive little guy he is, I wouldn’t want to push him to grow up too fast. His sister on the other hand…she was born ready! LOL. I’m curious how many of you have children with late birthdays, and if you delayed their entrance to kindergarten? I’ve heard it’s more common with boys than with girls. Please share your experience in the comments below! We chose to do the same with our oldest. We kept him at his preschool for his own version of TK. It’s still kindergarten but a shorter day and not as rigorous. Next year he will start at his new school in kindergarten. I already know it’s the best decision for him. In toronto where there is jk and sk our son started at 3! He’s a November baby. I was really nervous but he’s done amazing and is now 5 in sk. I personally think the cut off should be September so that all the kids are the same age. My daughter was born a week after Major and I was also debating this situation. This summer I decided to enroll her in a 2’s program for this year (2 half days a week). She is the youngest in class but has been thriving. The teachers are impressed by her verbal communication and how much she has learned in a class setting. I’m very happy with my decision but will continue to take it year by year. I love your blog and instagram! You’re so relatable! Thanks for sharing your life and family! We live in the southern CT area and we just decided to do a year of Pre-k for the same reasons. Academically he would do fine but emotionally he still seems so young. It’s crazy how much older a 4 year old born in January seems than a 4 year old born in the fall. Now that Kindergarten is much more demanding than it used to be, I think there is a tremendous benefit to letting them be little for an extra year. Totally makes sense! I would do the same. When is Marlowe birthday? Is she a mid year bday? Thank you thank you thank you!!! I am a School Counselor and a mom and I see way to many kids starting Kindergarten who are way too young! There is a 5 year old who is way different than a 5 1/2 year old who is way different than a 6 year old. Kindergarten is tough these days and these little 5 year olds are asked to do a lot and I mean A LOT! If more parents thought like you then I feel like there would be less struggling in school systems than what we are seeing. Just because they are 5 or have the birthday that they can enter doesn’t mean they have too or should. Sending them a little older can be so beneficial to them in so many ways! (Not that some kids or Major couldn’t do it) But kindergarten is stressful! Let them be kids just a little longer! This is SOOOOOO wise. I am a kindergarten teacher. Life does not need to be rushed for our children. Having developmentally mature students who are ready to learn and be away from home is so important. I wish more parents could be informed and look at each child’s needs. I admire your informed decisions to do what’s best for YOUR child. You are their first and best teacher. January 1!? That is a super late cut-off. I have two October babies but our cut-off is Sept 1, so luckily they’re both on the older end and if the decision had been up to me I would have waited anyway! My daughter has a November birthday and in NJ the cutoff for kindergarten is October so the decision was made for us, but I was not sad about it! I was a teacher before now staying now with my daughter and I think there is a huge benefit to delaying school for those later birthdays. I actually even delayed pre-school and she didn’t start in a 3s program until the fall she was 3, turning almost 4. I have no regrets! She’s a leader in the class and has so much confidence! She’ll started kindergarten in the fall and I think the extra time has proven to be nothing but beneficial! We’ve had so many opportunities to explore museums, plays, enrichment classes, and so many other things before she starts going to school full day, five days a week! I also taught middle school so totally agree with the idea of not wanting your child to be the youngest one as they get older 🙈! That’s so great! It makes me so happy when I hear of others who don’t follow the whole “earlier is better!” when it comes to education for their kids. That’s not to say they shouldn’t be learning already. I just mean exactly what you said up there 👆🏻They don’t have to be IN school to be learning. My son and daughter are a year apart. They have late summer birthdays. And I actually didn’t start them in Kindergarten until they had each just turned 6! When my son turned 5 we just still felt like he wasn’t quite ready to be in a classoom for that amount of time, 5 days a week. And that one year made such a big difference. I’m so grateful we made that decision for him. 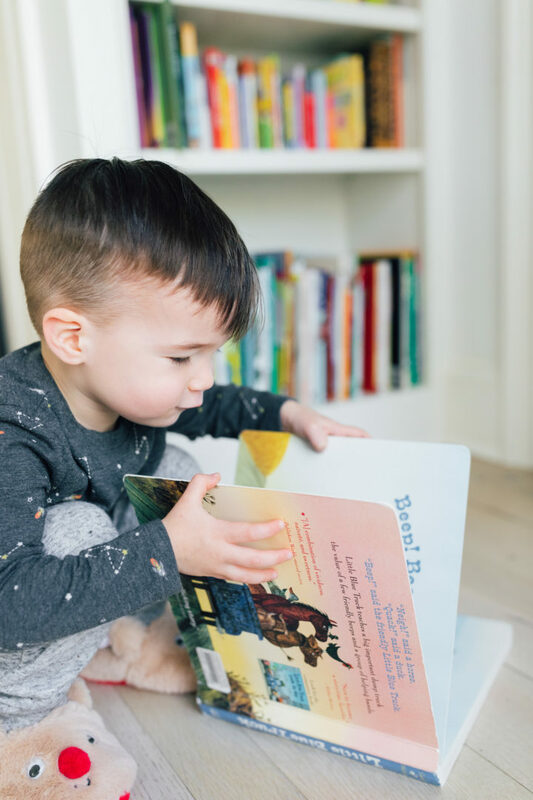 So then when he did go, he had a much better handle on his self control (which can be so hard for very active little boys who do not want to sit still in a chair for long) and he caught on to everything he was being taught so quickly. I am of the opinion that they are teaching a bit too much/too difficult to too young an age and little ones are getting burnt out and frustrated too often. But at the same time, I am so thankful for the education our kids have available to them. Anyone who asks me for my opinion, I always tell them waiting another year was a good decision for us! Too many people feel that would be doing a disservice to their child and I really feel it is the opposite. There is no right answer just the answer that is right for you (and your family). This is the exact conversation we are currently having in our home. My son started in a 4’s program this year at age 3 because his birthday is mid- September. All his classmates are having their 5th birthday while he doesn’t turn 5 until September. TK seems like the right decision for him but of course everyone has an opinion. All the education professionals I’ve spoken to insist that TK is something you will never regret. My husband is finally on board because it isn’t that he struggles with the curriculum but emotional intelligence. Perfect timing for this post! Absolutely you have to do what you feel is right. I often wish I had the option to delay entry for my daughter but she was a month away from the cut of dates in the uk. Obviously the system is different here. With 7 years of primary school (ages 4/5 until ages 11/12) followed by 4 to 6 years of secondary education (ages 11/12 until at least age 16 but generally age 17/18). 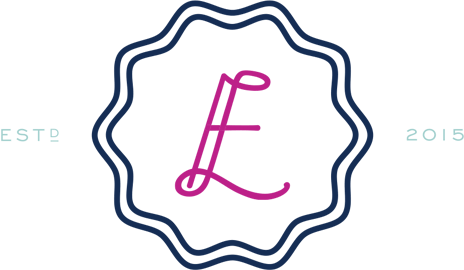 Higher education at either further education colleges or universities start at 17/18. So moving away at 17/18 is pretty much the norm here, We also have so many hours of free nursery education (age 3 and 4) allocated which generally equates to a few hours a day at a nursery class attached to a primary school in Scotland though even in England it is slightly different so can someone explain the American system please? I’m sleays fascinated in the differences. In the US kindergarten cutoff dates vary state to state and school district by school district. In the 1950s in New York City cutoff was December 31st to turn 5. I was a mid October birthday. Parents somehow enrolled kids who weren’t turning 5 until the following February. In addition kids could skip grades or combine 3 grades into 2 years. This resulted in a lot of kids entering college at 16. Way too early in my opinion. Don’t know if they’ve changed that. We have K-12 education in the US. Elementary school, middle school and high school (which is grades 9-12). Middle school varies by where you live but is usually 4th, 5th or 6th grade -8th grade. Most kids enter college at 17 or more commonly 18. In the US preschool (nursery school) is almost always private. It varies by state. Where I am there are limited public (state) school classes for 4 year olds, but not enough slots for everyone. Usually low income kids and kids with disabilites get priority. Major is big and quite advanced for his age (vocab e.g.) and probably would be fine going to school at age 4 in some places. We lived in a district that frowned upon 4 year olds starting school so we held our son back. Later, he repeated 10th grade when he transferred to a NE prep school to further his hockey career (played in college – his dream) so he was older than most of his friends. AND MORE MATURE! He had a blast in college but always knew where to draw the line (well, most of the time 🤣). What I’m saying is that you will never regret this decision. There’s no downside. If he needs more intellectual stimulation, there are plenty of enrichment programs that will stimulate him. Just my opinion but it was right for us and I saw some of the younger kids struggling. I love the idea of doing what’s best for the child even if it’s not what most parents would choose to do. As a former preschool teacher turned kindergarten teacher it always broke my heart a little that kindergarten is no longer what it use to be. At least not in public school anyway. Instead of learning through play and learning social skills they’re expected to sit still and look straight ahead. It’s part of the reason I’m strongly considering delaying kindergarten for my girls. I want them to play and be kids for as long as possible. And to be honest, a lot of 5 year olds aren’t ready for kindergarten in my opinion. It’s a huge shift. A more structured preschool can help with that shift but my kids stay home with me. Like Major, my 2 year old and almost 4 year old are counting, can say their alphabet, and communicate very well for their age. It’s not about academics, it’s about letting them be little. My now 10 year old started school at 4 (October birthdate) when we were living in Brooklyn. She like Major is big hearted and emotional. We started her because academically she was ready. As a kindergarten teacher I knew that some of the other things, social/emotional/friendships, would come as time went on. Then we moved to the Midwest, where she is over a year younger than many students in her class (students must be 5 before September 1st to start school but some families keep summer birthdays back until they are 6). This only magnified the her differences. Our struggle is two part and unique to us as all children all different. First she is gifted academically. Both IQ and psychology testing showed us that she can and does preform at a much higher level than her grade level. Second she is YOUNGER by a lot and she has adhd. Adhd only intensifies these differences. My take is there is no right answer. only the right answer is the right answer for your family. My oldest will be almost 6 when he starts kindergarten, not by choice. In our district the cutoff is September. TK is for kids who turn 5 September through December 2 and my son’s birthday is December 3. So he misses it by a day. One extra year of private school for us too. I don’t mind to be honest. I think developmentally it’s better for him to be on the older side when he starts. No kids- but I was a 4 year old kindergartener. I was the youngest in the district and started college at 17 with extra credit hours making me the youngest freshman. You get the idea- I think it is wise how ya’ll are handling. My sisters are 18 years younger than me with the same March b-days- mama did it differently and I think it was easier on the twins. I am a kindergarten teacher and encourage parents to do this often, especially with boys. I will tell parents many times what you mentioned above, think about later down the road. Thanks for sharing with all of us! My wife and I have had the same discussions. In Texas the cutoff happens in August, and with our son’s birthday falling in mid June, he would finish high school at 17. I myself had a birthday in May, so pretty late as well, and I definitely felt like I was a little behind my classmates when it came to physical development. There’s no wrong choice but we will probably start our son late. Thanks for sharing this. Our school cut off was September 1st and I had a baby born on August 30th! I went ahead and let him start school but he was always the youngest in every class. He had such a sweet disposition that everyone wanted to love on him and baby him so he did fine. We had him in dance, sports, church etc and we lived in a neighborhood where everyone played and hung out, even the parents… so I knew his village would help. I think that Sounds like a well-thought out choice for your family! I wish we could’ve done the same. I have a son (turning 2 in a week!) who started preschool this January. It was the best choice, as we had trouble finding a good nanny. We have one who loves him, is on time, and keeps him safe. But beyond that, not so much. He started to need social activity and stimulation and wasn’t getting it. We found a great preschool in our neighborhood that speaks only Spanish, they play outside all day, and is a quaint and loving environment. Bonus-it’s a one mile walk through our beautiful urban Austin neighborhood and so mama gets 4 miles in a day, and baby boy gets a nice walk to prepare for/unwind from the day! There are many ways to do it, and we’re so lucky to have the privilege of choice! Our younger son is a late September baby and at the time, we had the option of enrolling him into Kinder when he was 4. After speaking with his preschool teachers, they mentioned everything you’ve said in your article. They also said that in all of their years of teaching, they’ve never had any parent regret waiting to start Kinder. In the end, he loved his T-K class and for him, it gave allowed time to grow emotionally. Now that he is in his first year of high school, we see the benefits of waiting! Where I live (in Canada) the cut off is March, which is insane to me. A little could start Kinder at 4 and not turn 5 until almost the end of the year. Ive heard similar advice that you got from teachers here: its less about whether they’re ready for kinder at 4, & more about how theyll manage the age gap in the later years. My kiddos bdays are Jan, Feb, March x2, and June. My youngest kinder starter is the one that turns 5 in June. I think starting them “late” has served them all well. Our cutoff is Sept 30th and my 2 oldest boys are Sept bdays. I have many teacher friends that told me, “under no circumstances are you going to start your boys at 4 yrs old.” They were passionate about waiting a year and because I trusted them I deferred to their wisdom and I can tell you it was the best decision ever made. Its funny because you’d think it’d be the most beneficial from an academic pov, but honestly I saw the most benefits come from a emotional/social pov. They were always the tallest in their class and for boys for some reason it makes them more confident also both of my boys are quiet, and shy and being the oldest in their class really gave them an edge to be able to manage that. Meaning no one bothered them. They were respected and left alone, not picked on. A year is a huge difference when they’re young, but it all evens out in middle school. Which by then, they’ve established themselves as leaders of their peers. I know it sounds a little hokey but it really does kinda unfold like that. I just recently asked my 2nd son if he appreciated waiting a year to start school and he did say that he liked always being the oldest in his class. You’re making a wonderful decision. My oldest has a December birthday and back then, (he’s 35) the cut off date was Dec. 31 but I couldn’t fathom sending my little 4 year old off to kindergarten with those big 5 year olds 😂. I wasn’t that he wasn’t ready he could already read and do basic math but socially and emotionally I knew he just wasn’t ready! Of course in his teenaged angst years he said things like I could be a senior now, 🙄. Now though that he’s an all grown up high school AP history teacher with two babies with October and November birthdays he sees the very great benefits of being one of the older kids. Also I can tell that Major is big for his age, as is my grandson Noah and so was my son, sometimes I think teachers and peers have less patience with kids who look older but act their age. That one more year of maturity makes a big difference emotionally which Is so important to self esteem. Teachers never did but a lot of family members have called my son and his son cry babies and other things because they appeared older and were just acting their age. Talk about getting this Mom and Gram pissed off. Anyway that’s just my two cents and I think you are doing the right thing. That sounds like a great plan to me! My son is a November baby, and my daughter October. I knew from the get go that both my kids would start Kinder late. As a teacher, I think this is best for both boys and girls, so that they can be mature enough for a full day of school. Here in Texas, the cut off is August, so I really didn’t have a choice with either of my kids, but I’m glad that they’ll start late. I wondered if it would be weird being older for their grades, but there is such a mix of ages that it doesn’t really matter. My little girl, 3, goes to preschool 3 days a week and LOVES it. She actually started at two because she wanted to be like her big brother. She only went 2 days then, and now three days. She is such a little social person that it has really been a joy watching her love school. It was the best decision we’ve made so far. We held our end of July boy back (9/1 school cutoff) and that extra year of preschool was such an amazing year of social and emotion growth for him. He walked confidently into kindergarten and hit the ground running. This is so good! We decided to do this with our oldest son who is 5 this july. He is always the youngest in the bunch and we want him to have another year of being a kiddo before real school starts. We will mimic the same for our 2 year old son as his birthday falls in late September. In Utah where we live the cutoff is September 1. I was the youngest and started college at 17. Such a great topic for discussion. Thank you for sharing! Both of my boys did a TK program and it was the best decision we made for them. We’ve been having this debate with our daughter who’s Marlowe’s age. To start her in kinder this year and never hit 18 before she graduated? Or start her next year when she’ll be 18 already. Cutoff in Hawaii is August 1, and she’s an August baby. Cutoff in ca is September, where we’re considering moving. It’s a tough decision because it seems like she could use another year of preschool love and cuddles. Is Marlowe starting kinder this year then? I live in Washington and the cut off date to go to kindergarten is Sept. 1st. I have one boy that was born September 26th, so he had to wait a year after he turned 5 to go, so he was almost 6 when he started. I have noticed that he has really benefited from this, being older. My other 2 boys are January and June babies and have done well, also all three of them went to preschool for 2 years. In NYC the cutoff is dec 31st. My oldest has a November birthday. So he started Kindergarten at 4, and turned 5 in November. I was a little worried about him being so young because he wasn’t really very outgoing. But he had two years of preschool under his belt and I figured (and was correct) that he wouldn’t be the only one since this is how it’s done here. He actually had 3 classmates with December birthdays so he technically wasn’t even the youngest! He has excelled academically which we are thrilled about and he seems more comfortable in his skin than ever. I think having older kids in his class has helped him. One downside that I can think of at the moment, is that some of his buddies are moving up faster in sports teams. He *just* turned 6, and some of them are playing with 7/8 year old teams. So hopefully this isn’t a huge issue in the future. But just like anything else, they acclimate, and he’ll be buddies with whoever his future teammates are of he wants to co tongue with sports. 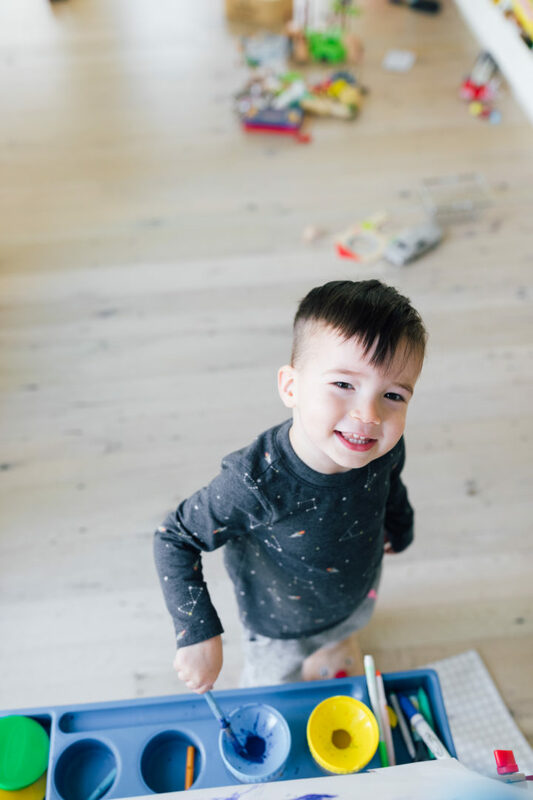 My youngest is a spring baby and it’s so much easier knowing that he will already be 5 when he starts kindergarten and there won’t be any big question marks. Financially I was concerned about sending him to 3 years of preschool (our public school doesn’t have pre-k) but then NY passed universal Pre-K for all. So we do not have to pay for it! We did the exact thing with our son Colin, the cut off was Sep.1st & that is his actual birthday. Sooo glad we waited. Once high school years start you will be glad he has that extra year of maturity. We for sure were. My daughter’s birthday is October as well. She is currently in a pre-k at 5 because our school district has a September 1st cut off. Much like Marlowe, our little has been born ready. She is way ahead in reading and writing, etc. I worried she would be bored and struggled with her ‘having’ to wait a year. BUT she is not ready socially. She is an only child and a bit introverted until she gets to know people. She is not as mature as some of the 4 year olds in her class! So, as much as I was worried about her being ‘held back’ it is the right social place for her. She has grown leaps and bounds this year socially – in fact I just had her parent/teacher meeting this morning and she gained 14% on the social scale they test with in just 6 months. It’s always hard to know what to do. Especially since my husband and I had vastly different school experiences. I was born ready and loved every second of my education through college. My husband HATED school and could not wait to finish his schooling. Hopefully, we will find a happy medium. But I can’t lie – having her start public school and not having a ‘private’ school bill will be such a relief! So interesting that CT allows that- of course it’s probably better developmentally and socially (and for athletics it’s a major advantage, no pun intended! ), but NYC is also the calendar year Jan 1 -Dec 31 in a class- and if you choose to do an extra year of private PreK, they make you skip Kindergarten and start in 1st grade when you enter. !! This puts the complete stop to people “red shirting” their kids. If people want their kids to be old fall bdays in their class, they have to go to private school. I could see it being rampant if you were allowed to do it here so I guess their rule levels the playing field? With an October bday in NYC there would still be all the younger Nov and Dec bdays with your son. If you’re allowed to do it and I’d imagine most others choose to also, I’d probably do the same. I think you are doing the right thing! My son started school for the first time at 4 in a private school 8-3 five days a week and he did great. Prior to starting school, he was cared for by his grandparents while my husband and I worked full time. Believe me when I say that was great for our family but in some ways not so great (that would be a subject for a blog – if I was a blogger Ha!) Anyway, we taught him a lot at home so he was well prepared and passed the entrance exam for Kinder with flying colors. I think Major will do fine! As a teacher, watching a student who is a year younger than everyone else and developmentally not ready is so difficult. It’s challenging for them to learn because their brains aren’t ready, behaviorally they’re behind. When they get older, 2nd-4th grade the difference becomes so stark. Teachers can always tell. I think it’s great to keep Major home!! I did 3 years of preschool and was ready for Kinder!! I live in Rhode Island and the cut off is September 1st, so unless you choose to have your child tested in, everyone has to be 5. My oldest just turned 6 in December and is in kindergarten this year and I am so glad that this is the case. My second child just turned 4 in September and I decided she will go to Pre-K in the fall of 2019. I am a stay at home mom, so I didn’t feel the need to send them to school earlier as I just made sure to enroll them in other activities and have lots of play dates with other friends. My oldest has a September birthday (were CT as well, same cut off). We put her in Kindergarten at 4. Socially she was SO ready. She does have difficulties but I feel it’s more her ADHD than her age. Also, she wasn’t in pre-k before and I feel as though the school system is set up for kids having gone to pre-k. Which is unfortunate since it’s not free here. My youngest is Oct 29. I am planning on putting him in pre-k part time come the fall. He’ll be just shy of 4. I also plan on putting him in K when he’s shy of 5 unless pre-k makes a good case for keeping him an extra year. What an awesome plan! I couldn’t agree with you more! My stepson has a late birthday and he started kindergarten having just turned 5. He was not ready and it has hindered him socially throughout his schooling. TK was created just for this and I think it’s an awesome option! I have 4 boys all with winter birthdays. In the Scotland we don’t have kindergarten we have primary 1 and the kids go straight into a full school day from age 4 and you need permission from the local authority to hold them back. I sent my eldest at 4 and a half and like your mom I have always regretted it. My other 3 I have held back till 5 and a half making them the eldest not the youngest and it’s definitely been the best decision. They have been so much more able to cope, especially as they have gotten older. My son will turn 6 in late November of his Kindergarten year. Our cut off here is early August so the decision was made for me more or less. At “almost” 6 I know he will likely still be one of the “younger” boys in the class since the bonus year is VERY popular here in the south. My mom taught preschool for twenty years and she has told me all along that you cant tell a huge difference when they are 6-8- but you can when they are 10-12. No rush for formal schooling from my perspective. He is in a very good pre K program and I think he is learning tons!! Thank you for sharing this! Our cutoff is being moved up to Aug. 1st and my twins birthday is July 30th. Their pre school teacher brought up the same suggestion of an extra year of pre school for their future selves as well. They are 3 now. The thought of them start Kindergarten at age six (turning 6 2 days before the cut off) isn’t appealing to my husband though. Why can’t we have the same cut off date nationally?! I’m a mother of two girls who both had September birthdays. I started the our older girl in Kindergarten when she was turning 6 and our younger turning 5. Two kids two different scenarios in that there are six years between them so younger daughter was quite mature for her age due to exposure to big sis. My brother has always regretted being young for his grade with sports, etc. I’ve been a mom for 21 years and I’ve never heard a boy mom regret waiting to start her son. (i usually don’t think such generalities are helpful but that’s just what I’ve observed) All that said, every parent has to decide what’s best for their child. Thanks for sharing with us! One smart Mama! As a teacher (and a mother of a late birthday boy), it is absolutely the best thing for the child (especially for BOYS!) My son is 17 now (and a junior in HS) and doing so beautifully. He is mature, confident and a deep and critical thinker. I think the extra preschool year was the best parenting decision we ever made! Major is clearly thriving and I commend you for trusting your motherly instinct. Thank you for being an example of individuality and not so cookie cutter auto-pilot. In Canada they have 2 years of kindergarten. Junior and senior. Our first born will be starting kindergarten at 3 years old and won’t turn 4 until December 25! He will be in class with children almost a year older than him. I have a December baby, but here in CA, the birthday cut off is September 1 so she will be one of the older kids in her class. I think this is good and if I were in your shoes, I would probably pick the same path. I just can’t imagine sending a 17 year old off to college! Major is a smart kiddo and probably would have been fine either way, but it sounds like you made the best decision for your family! Here in NH, the cutoff is October, Dylan was born mid August, and I didn’t hold him in preK and extra year. Academically, he is doing well, socially, being young for his grade has had it’s challenges. He will be in a new school next year- grade 6 and middle school. I am wondering if I made the right choice in not holding him back. Our new baby is a mid September birthday, and I am going to seriously consider extra preschool when the time comes. I have a September baby with my son and he will be turning 6 right after school begins. I am so glad he will be that age. Here in WA they have to be 5 by August to start kinder in the Fall. He definitely is ready socially now but I don’t think his sensitive heart is ready for the all day school. He has come so far in his preschool that I have no doubt that he will be prepared for this coming Fall. As an educator I can attest that most of the studies show that pre-k only makes a demonstrable difference in kids who start out disadvantaged for a number of socio economic reasons. Of course studies don’t account for individual circumstances but time and again, the major difference has proven to be that kids are in a loving environment. That can be pre-K or grandma or a SAHM! Definitely see it a lot more common in boys than girls. 30+ years ago my teacher family members suggested my mom give my brother the extra year (nov 21) and I don’t think she ever had any regrets. I personally would rather have my child “stay home” the extra year than have to repeat a grade once they’re in school…. I totally think that every kid needs a different plan when it comes to education! Where we are in Ontario children start junior kindergarten the calendar year that they turn 4. So my son is a late November baby which meant he started at only 3 years old! I was a bit worried, but for him it was a great plan and he’s thriving! He’s starting to read and really loves to learn. My daughter is a January 1st baby so she won’t start until 2020 when she’s nearly 5! She’s sooooooo ready though! LoL That being said, I have a daycare background so I have been preparing them since birth! I don’t know that it’s rohht for all kids to start that early but for us it is working, and until we daughter starts school, we are keeping her busy with programs and I feel lucky that I get this time with her. I have a late birthday and started kindergarten at 4 years old and did fine. My older brother on the other hand who also has a late birthday did not. My mom says it’s one her biggest regrets that they didn’t hold him back a year. He ended up hating school and struggling his whole way through. As you said education is not one size fits all! My sister was born in June, so she was enrolled in primary school early and she repeated the 3rd grade because of it! Everyone was older than her and she just needed more time! She did great after that! I on the other hand was more like Marlowe – wanting to join my sister in doing “homework” when my mom had barely enrolled me in kindergarten! We delayed our daughter due to her birthday being December 28. We did an extra year at home of homeschool and now she’s one of the most advanced in her class. I also worried about her graduating all her classes early and that’s the main reason we delayed. It was such an amazing decision and I think she could have handled going “early” but thought to myself she shouldn’t HAVE to handle that. She should be comfortable and not be having to stress so kuddos for thinking ahead and putting your child in the best possible position to succeed! November birthday child here !!! My daughter Mackenna started at 4 and she seamlessly transitioned , very mature for her age, had a grasp on a lot of concepts early on. My Mason however was a mamas boy, he gave true meaning to that adage that boys mature “slower” than girls . I held him back and I don’t regret that AT ALL ! Go with your mama gut. Our area’s school cut off is September 1. My son’s birthday is in July. He is now 15, and, like your mom, I regret not keeping him back a year. I know everyone matures at their own speed, but I feel in many ways my son was not mature enough to start school when he did. He is academically quite smart, but even that would have been an advantage in school if we had waited. I only started to see this when he was in first grade and then later, by then it was too late to hold back. I applaud your decision. This is an excellent POV. I’m in a very similar situation and I don’t know about you but I often times find myself making excuses and justifications for keeping our son home at 2, mostly because everyone just assumes now kids start preschool at 2. As long as you find the healthy balance of socialization and play for your kids then great! They’re in school for the rest of their lives!! There is something to be said if you have an excellent nanny, too, we do!! I count out blessings every day with her. Great article and totally agree in my opinion. My son is 3, he has a late December birthday. Cutoff is Dec 31st. He is currently in Pre-K 3. He will be going into Pre-K 4, next fall. However, after that he will be doing the same T-K class, an extra “repeat” year of Pre-K. And then he will start kindergarten at 5. I had many reservations about this. But we are happy with our decision and agree that we didn’t want him to be the youngest kid in class by almost 1 year in middle school. What a great blog post! My daughter almost has the same bday as Major, but where I live the cut off is early September. Because of this she will always be one of the oldest, so we dont have to worry about it. But we are expecting baby #2 in late August, and this will absolutely be a concern of ours. It always seems so negative to hold your child back, but a lot of times it’s the best option and its refreshing to hear about the choices other people make. It is definitely more common with boys and as a teacher in middle school, I see a lot of kids that are a year younger and struggle because they just aren’t ready. My nephew has a bday in September and we kept him back from entering kindergarten at 4 and it was the best decision. He’s now a fourth grader and I couldn’t even imagine him in 5th grade- you are doing the right thing! We have to look at our kids not by age but by if they are ready for the demands of school and do what’s best for them and not what society tells us we should do! Couldn’t agree with you more on this! My oldest has a late birthday. He is now in 2nd grade and is one of the older kiddos in his class. I could’ve sent him to kindergarten a year earlier but so glad I didn’t. He needed that extra year and I know he will love being one of the first kids to get his license when he’s old enough ;). I got some negative flack for it but who cares! It was so right for us and that’s all that matters. I can so relate! My October baby had Pre-school, then TK and now Kinder. She has benefited so much from the extra year of learning. At first I thought to myself, I did it, she can too. I myself am a late October baby and graduated high school at 17. But now having a child with the same late October bday, it’s better to give them that extra time. It really is for the best. Our schools out here have a cutoff of September 2nd, so it wasn’t technically by choice. All in all, I think your plan is an excellent choice. Keep up the great work! I had never thought about this either, but both of my kids have birthdays just before and just after the cutoff and I am waiting to start both of them (boy and girl). Why rush through childhood and definitely why start college at 17 or even two weeks after turning 18! My son didn’t have a late birthday, but he was socially not ready for school. So I held him back a year before going to Kindergarten. It is the best decision I made for him. As a late birthday myself, when thinking of starting my November birthday daughter in kindergarten at 4 terrified me. I was always the youngest and did start college at 17. We jumped at the chance to start her in a TK class. I’m also a teacher at the school she started at, so having her with me was a total bonus. I see the difference in kids coming through who have had TK and those that haven’t. They know the routine of school and are totally prepared for kindergarten. The little girl I nannied actually skipped all of preschool. I worked with her on her letters and number, shapes, math, and other subjects as well. She shadowed the pre-I class where she would be going to private school and they were overly impressed with her. They said she was incredibly well socialized and was further advanced than the rest of the pre-knstudents. So unless her parents were just wanting her in pre-k she didn’t need it. She took gymnastics classes twice a week and soccer once a week. She had play dates all the time. She started kindergarten this year and is doing amazingly well. She is already reading on a first grade level! So really the decision to not put her in pre-k was a fantastic one. So I say, still don’t be in a rush for pre-school. Each kid and family is different of course but if you have someone that is doing so well with Major I wouldn’t be in any type of a rush! My daughter, Marlowe and her seem so alike, started kindergarten at 4, 11/28 birthday, she was more than ready, and still is in first grade now. New York’s cut off is 12/1. I had to keep reminding school staff she’s a young 5, or not quite 5 yet and they all had a hard time remebereing after spending the day with her doing so so well in school. My son, 11/15 birthday, is two now, but so sensitive and a bit less “mature” and independent than my daughter was as the same age so I’m having the same debate. I’m gonna wait and see, keep him in his daycare program and if need be, add an extra year of private Pre-k (to the budget too) to be sure he’s ready for kindergarten success. My twins have late October birthdays. NYC does not let you hold your kids back. They start K the year they turn 5 with a Dec 31 cutoff. I have an early January birthday and my parents sent me to private school for a couple years to get around the cut off for public school. My mom really wanted me in school! I was always the youngest in class and it didn’t make a difference to me. Every kid is different. And there are now so many other factors other than age as to why our kids aren’t ready for school anymore. As a kindergarten teacher and a mom of 3 ( 4,2,4 months) I could not agree more. It’s not about how ready they are now, it’s down the line. My kids are August and September birthdays, so they don’t make the cut in Nebraska, but I would hold them back anyway. It doesn’t matter that they know their letters and sounds, it matters when they need to make the tough decisions 10+ years from now. I have seen way to many parents try and push their kids and it’s backfires. Also read this article about ADHD and the cutoff dates…. I only had boys and they are in your age bracket, but my first two had July and September birthdays. I sent each to preschool for 2 years and they each started kindergarten when they were 6 instead of 5. It was the best decision I ever made. My youngest has a February birthday so he was 5 1/2. He was also born ready. As adults they all are college graduates with Master Degrees, are gainfully employed, married and are fathers. I think not having to constantly play catch up set the tone for their whole lives. I completely agree with your plan and here is why! I am an elementary teacher, and I truly believe many parents wish they would have waited another year before sending their children to preschool or especially kindergarten! There is no harm in waiting because it helps better prepare that child for the academic, behavioral and social requirements involved in the classrooms. My own children were born in February and September with August being the cutoff for kindergarten registration. My first child was ready to go! My second daughter is 2 as well, and since she doesn’t make the cutoff, that “extra” year in preschool is just better for her developmental, academic and social readiness. Best decision I ever made. My youngest son. The 3rd of 3 boys , is an August Baby and our cut off is September. So instead of sending him when he had only been 5 for a hot minute, we did private kindergarten. Everyone said the send him off at 5 and he was ready. He’s now a freshman in high school and killing it! My oldest son missed the cutoff of Sept 1 by 9 days, so In addition to being one of the oldest, if not the oldest in his class, he is also at least a head taller than everyone else. I think for maturity reasons, he’s right where he should be. My stepdaughter is the opposite. She is one of the youngest in her class, and is very immature and more of a follower than a leader. My daughter started half day Pre-K a week shy of 4. My husband thought she was too small and young. But after spending time with me at home for the 3 years leading into it, I felt she was ready and she was. First day, she let go of my hand and was well on her way. She’s graduating 5th grade this June at 10. My son is an early year baby. I think he’ll be an “older” kid in his grade. I’ve given thought to placing him in pre school this September at 2.5. I think he’ll thrive being around other children at an earlier age. All children are different and unique in their own way. I am 35 and my birthday is August 31st. The cut off for kindergarten was September first and my mom put me in what was called “transition” basically an extra year of pre-k. I am so glad my parents made the decision they did for me because I was a tender child, not shy but more reserved than my older strong willed sister. Being the first to get my driver’s license in high school and the first to turn 21 in college brought so many advantages I can’t imagine being the last. Especially being a bit of a late bloomer. I now have 2 boys – both December birthdays and I will strongly consider the same for them. I like you have a fantastic nanny who has taught Miles Spanish fluently, his numbers, colors and shapes all at the age of 2! What blessings these women are because it takes a village. I love ur posts about these types of decisions because they are tough issues for people to be honest about and there is a lot of comparison between families so ur approach is beyond refreshing! My son is a summer birthday and he struggled in Kindergarten, however neither his teacher nor I could decide if staying back was the best option. Fast forward to 5th grade advancement. He wasn’t ready for middle school, he struggled with reading and other tasks. I made the tough decision to send him to private school and to repeat 5th grade. What a difference it made. He’s now 20 and in college. It was one of the best decisions I ever made. Love Following you and your journey from Just down the road in Ridgefield! Just thought I would chime in on this post b/c the whole “hold or don’t hold” always strikes a chord with me. My son son’s birthday is 9/1. So, like you, I had that dilemma.. we decided to send him to kindergarten. He is now 16- and a junior in high school. Academically he is exeling and he is physically a big kid. Sometimes I look at my husband and say “can you imagine if he was in the grade below?”… but that is just MY KId. There were many times in kindergarten, first grade, etc. where I thought behavior-wise he could’ve used another year. He also plays competive hockey – and it is very common in sports for parents to hold kids back just for that. 😳😥. In California late birthdays mean later starts. Cut offs are now early September so my 5 year old October baby did TK and will do kinder at 6. We enrolled him in a preschool at 2 years old because like Marlowe he was ready. He needed more stimulation, more kid interaction. Activities at home just weren’t cutting it anymore. With the ability for high schoolers to take online college courses while still in high school, by starting him in school later, you are actually giving him more options. He can accelerate himself if he wants to. My child’s birthday is in March, but I chose not to put him in preschool or pre-K at all. He started Kindergarten at 5 1/2, and tests high in everything and is the one on the playground who invents games to play, etc. (meaning he has zero problems in the social department despite not having siblings or going to pre-school). So there’s that. I think it all works out and if it doesn’t, then that is just what was meant to be. We had same issue with our son. Our daughter, born 1st, 20 mos older and was older end of her class. He also started ear infections at 5 weeks old.😫 We saw ENTs and specialists as they did not clear for over 2yrs. Meds weren’t touching it. Snored as loud as hubby 😴😬 Audiology next with sevvere hearing loss, 4 sets tubes, tonsillectomy and adnoidectomy. Horrible. Ended up being 18 most behind in speech and before last surgery, was hearing as if under water.😞😞 He was very content, my friend called him the golden boy. He also fevered at 105 degree.😱😱😱 Scary when Dr got nervous. I knew I would hold him back as I too, didn’t want him to be 4 (late September). After extensive speech therapy, 5 days a week in a ft program, he was doing great catching up. He still needed a bit more. We changed our minds last minute as we thought he’d get more out of ft Kindergarten than being at home. He went and as we were going to hold him, the teacher and advocate said he did great and learned all that was taught. In doing my homework, I had him put with a specific teacher. From day 1 she incorporates “The year to grow program” for kids who need a lil bit more. He did great and passed all with a lil difficulty reading. We had decided to do it and asked my son what he thought. He was excited and asked if his friend could do it too! Warmed my heart 💓. I also stipulated he have her again for continuity of care. She called us 1st week of school and thanked us for making her program a positive response in our home. She told us that he was telling the kids that he was doing the year to grow program. 😊😊😊 No regrets at all. Good luck. So here in Australia, our school year starts at the end of January (ours just went back last week). My son’s birthday is 6 Feb. I’m not sure what the earliest age is (I think 4.5?) but they have to be enrolled in Kindergarten by their 6th birthday. With my son, he was in long daycare full-time in the years prior, and coming up to the end of the year before his 5th birthday, as first-timers we enrolled him in Kindy for the following year. Turned out to be a BIG mistake! He did not cope at all, no ma’am! It got to the point where his teacher would identify his whereabouts in the room, then continue on with the rest of the class and just leave him to his own devices. I even went back to his preschool to talk to the teachers to see if they had any clues to his behaviour and the response I got was “oh we’ve been thinking about J and wondering how he is getting on. We weren’t sure if he was ready to go to big school or not”….. DEAD. If just ONE person had voiced a concern, we could have taken the time to investigate and make sure he was ready or held him back another year. But once they’ve started school, you can’t go backwards and start again. We ended up having to have him repeat Kindergarten, which was hard as all his peers moved up to 1st Grade and he had to spend another year with “the babies”. 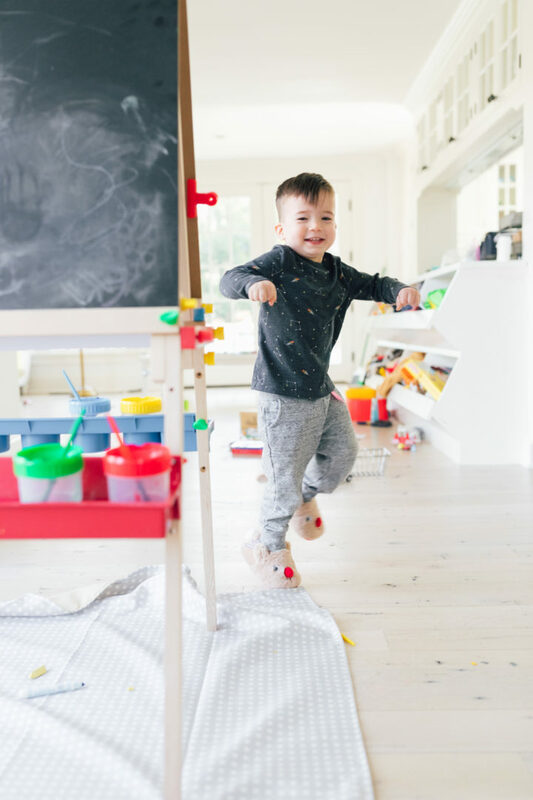 Since then, I have always advocated for keeping your little ones at home as long as you can, or until you are completely sure they are ready to go. Daughter has a Dec 15th birthday, and cutoff was Jan 1. We did the same thing you’re going to do. She graduated last year and started college, in Italy, at 18. Never a moment of regret! Do your own thing, Mama! Only you know what is best! 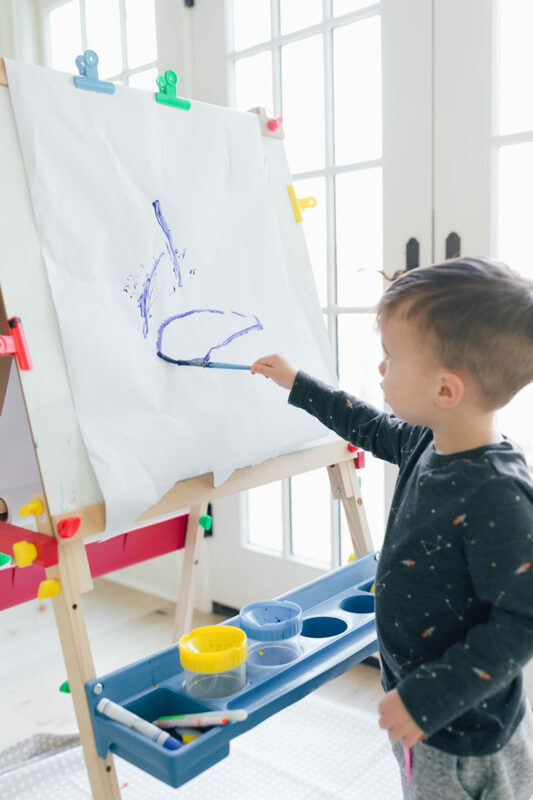 I started my kids late and loved having the extra time to do activities with them at home. My Mom always said to enjoy this time with them because you will never get it back. Now that my two oldest are in school I miss being able to do things with them during the week. My 2 year old was born in September and I am currently tryng to figure out how many days to send him to a 3s program in the fall. My daughter misses the school cut off by six weeks and I am worried that starting kindergarten at almost six is going to bore her, with an extra year of preschool, but at the same time she gets another year to be a little kid before full day school starts. i have a later birthday (end of august), and my parents didn’t hold me back. i didn’t have a problem being the youngest in my classes and i was only 17 for a month in college. BUT, i will say that i HATED always having the FIRST birthday in my classes. often my bday was in the first week of school. a few times it landed on the first day. and that was NOT chill for me. My daughter is going to be 5 this May and has never been to school or daycare. My mom is our child care provider. We felt that based on her maturity level and the fact that she knows her numbers, alphabet, colors, Spanish and bunch more stuff that she really didn’t need it. She’s super social so that would have been the only reason. I’m a parent of a soon-to-be kindergartener who will be 5 in June before starting kindergarten in September, so I don’t have an experienced opinion on this topic. I just wanted to say thank you for this food for thought! My second born is a December baby with a birthday on the 17th, so this is definitely something for us to consider when his time comes to go to school. He is turning 2 this year so we have plenty of time to think about it; I think it will just take time to get to know him and his nature and decide down the road what will be best for our youngest and our family. And to see ho the adapts to his day care before the big jump to kindergarten arrives. I was born in November and was held back (same with my brother who was a December baby) and I loved it!!! Being the “first” and oldest was always awesome – babysit, stay home alone, drivers license, etc. I think it was such a positive part of my childhood and doing 2 years of pre school was totally fine on my end of things! -yes my friends have been funny as I was 18+ saying/joking that I failed kindergarten but jokes on them….because I had a great childhood!